We don’t mean to toot our own horn, but we’ve got the perfect Mother’s Day gift for mom-to-be’s. With the special day coming up in a few weeks, pamper a pregnant mother with goodies in our BumpBundle! Our gift boxes are geared towards each trimester and feature at least 5 handpicked pregnancy products. Here are 8 reasons to order a bundle for yourself or as a treat for Mother’s Day for your partner, wife, girlfriend, sister, daughter, best friend, favorite teacher, neighbor, or any other leading ladies in your life. 1. Each of our BumpBundle’s include free shipping (over $50) and your gift message. No need to pay extra! We hand pack all the items perfectly into the box, with our grey festive shredded paper. And we type up a message from you, or if it is a treat for yourself, a note from us! We also include a list of what’s in the bundle for easy use. 2. We use only products we love to use and wear along with brands we trust. For instance, the Bella B products helped co-founder M moisturize throughout her pregnancy and I even kept some handy to keep my hands soft during the chilly winter months! 3. We focus on each trimester to make sure there are a couple of items that come at just the right time of the pregnancy. 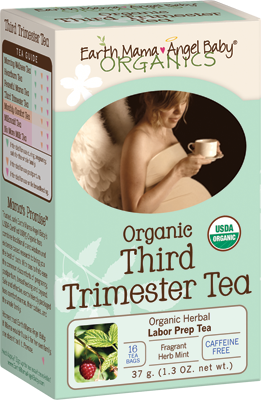 Like for the third trimester, the Earth Mama tea. Right when moms need the calming effects of this herbal tea, this box will arrive along with other items. 4. Our bundles help keep moms feeling good inside and out. While the tea might help her feel calm on the inside, fun, bright nail polish, helps mom-to-be look great on the outside, like Knocked Up Nails, which we can include in any of our bundles. It is pregnancy safe plus you can even use it on your kids too! 5. Shipping is quick! 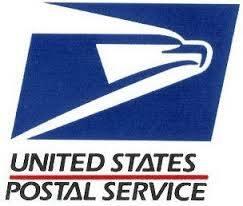 We use USPS shipping. We ship the same day as the order is made or within a day or two. We provide the tracking info as soon as possible. 6. We are very flexible! Want to choose the date your bundle arrives? No problem- we can schedule your bundles to arrive anytime! Have a budget in mind? We can create a bundle in your budget. Want something specific in your bundle? If we have it in stock, we can definitely make sure you have the scarf you have been eyeing from your favorite bloggers review or whatever catches your eye. 7. We make shopping quick. Navigating some of the bigger baby store websites can be daunting and very time consuming. Whereas with us you just buy a bundle, provide a mailing address and card message, and you are done! 8. We have had great reviews! Check out a few bloggers reviews here! See photos, hear how they used the products firsthand, and their thoughts on our bundles by trimester concept for expecting mothers. What are you waiting for? Buy a bundle for a Mother’s Day gift. Or if you are going to a baby shower, our BabyBundle makes a great option too. A birthday, anniversary, congratulations on getting pregnant or on having the baby…there is ALWAYS a reason to send a bundle! Share the post "The perfect Mother’s Day gift for Mom-To-Be – BumpBundle"